Three years earlier, in 1921, Paul Pane and Tom Murphy began their bootlegging operations at Princeton-by-the-Sea, some four miles north of Half Moon Bay. With the collapse of the Ocean Shore Railroad, Princeton was a failed resort and some residents were ready for any kind of business. Overlooking Princeton Bay for many years was the Patroni House, a seafood and Italian restaurant owned by Giovanni Patroni. Fishing boats docked at the nearby wharf, also called âPatroniâsâ?. Born in Genoa, Italy in 1878, Giovanni, the son of farmers, learned the hotel business in San Francisco before moving to Princeton in the early 1900s. Patroni also formed a partnership with El Granada artichoke farmer Dante Dianda. Together they owned 400 acres. In 1921 when Patroni was 43-years-old, bootlegger Thomas Murphy approached the restaurant owner, convincing him to let his wharf be used to unload illegal liquor. A few months later, in the fall, fishing boats delivered $60,000 worth of illegal whiskey from Vancouver to Patroniâs Wharf. 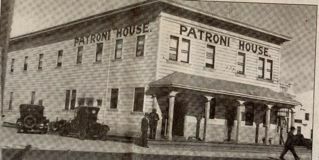 Tipped off about the shipment, agents led by Mobile Prohibition Supervisor John Exnicios raided the Patroni House, confiscating thousands of dollars of bonded liquor. Arrested for violating the Volstead (Prohibiton) Act, Giovanni Patroni confessed that he was a member of a bootlegging ring smuggling thousands of dollars worth of high-grade whiskey into Princeton. Patroni was released on bond in return for testifying before the grand jury he received immunity. The information Exnicios extracted from Patroni made him optimistic that booze smuggling on the San Mateo County Coastside had been smashed.